Toy design born from many different field analysis that proved a great increase of time that children spend at home because of ‘hyper-security’ parent’s need. According to these analysis the consequence is that 70% of kids between 3 and 7 y.o. use a smartphone/tablet to play daily. 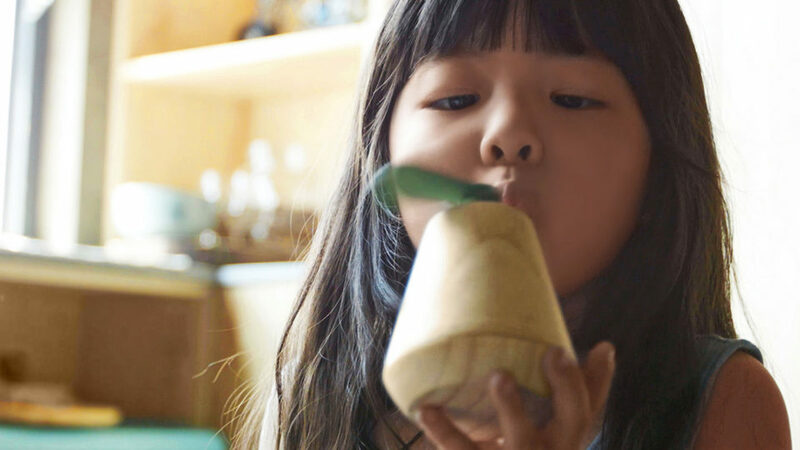 Starting from these questions and datas, a team by the international design agency frog China, developed Yibu, asking themselves if it were possible to create a wooden toy set to approach technology in a new way, not necessarily and exclusively linked to a device display. 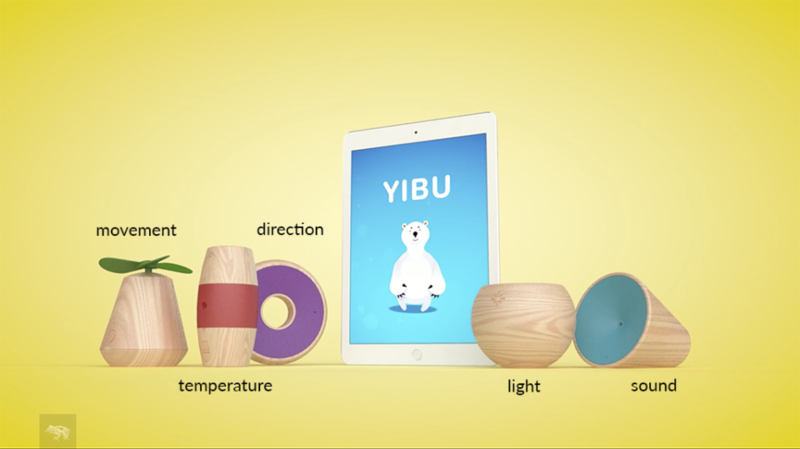 Yibu (‘first step’ in Mandarin) is made by 5 analogic-charme products with sensors that speak and interact with an app in order to educate children on environment problem and encourage them to be active in their daily challenges and in the exploration of the world that surround them. Each product has a characteristic color detail and a specific sensor inside: light, sound, direction, movement or temperature. 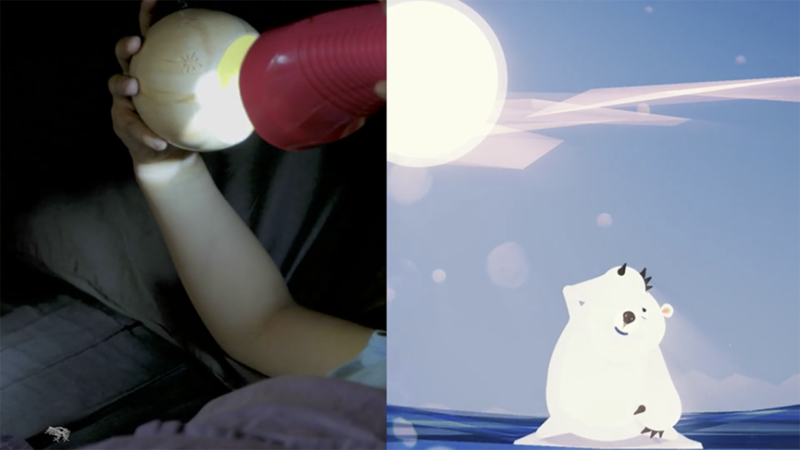 Kid has to use the physical toy to solve the problems of a polar bear, main character of the app for tablet. For example, if the bear is on an iceberg in the middle of the ocean and it’s hot, kid can put the temperature-related toy in the fridge to save the bear from the melting of its makeshift boat. The app in this case is an amplification of the reality. It shows real problems and situations related to environment, so on one side kids are aware of this theme, on the other it calls them to action starting from little daily challenges that they need to fight toghether with the polar bear. The screen becomes an integral part of the activity and represent a digital tool for real-world exploration. This example shows how a wooden toy set to approach technology can be a viable and overwhelming solutions to overcoming screens on children’s days. Yibu is etymologically and physically a ‘first step’ in the technological world in an educational key; moreover is able to transform the experience of home play in a very interesting and inspiring way by making it dynamic and engaging.